Poultice Powder | Abatron, Inc.
Each formula is designed to remove rust, oil, and other stains form marble, granite, slate, terra cotta, limestone, terrazzo, agglomerates, sanded grout, cement, and brick. 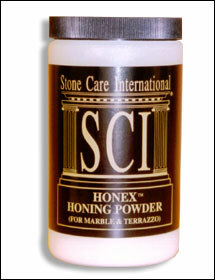 These poultice powders safely remove deep stains from the interior of the stone. Dry method does not require scrubbing. Ready to use with water. 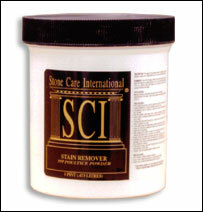 Most surfaces retain original finish. All are non-toxic and biodegradable.